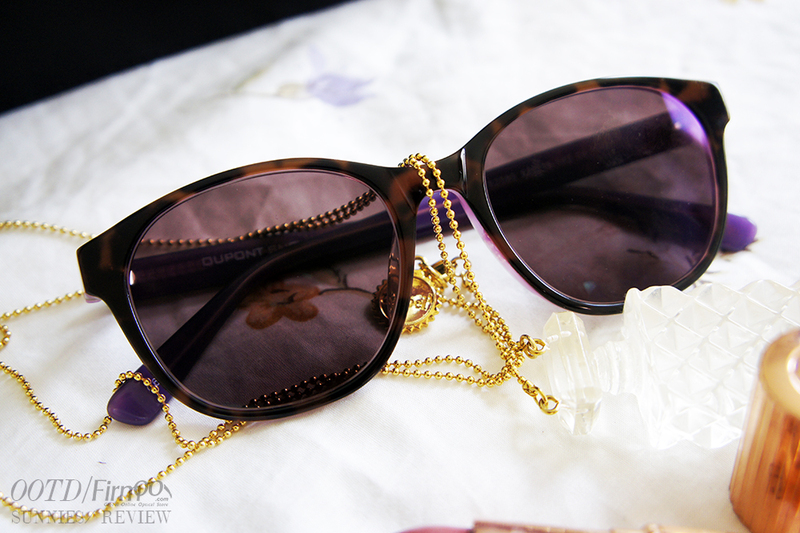 Today I have a little review on a pair of sunnies I received from online glasses store Firmoo. I’ve never heard of this site before but I am pleasantly surprised by their great prices and nice range of fashion frames for both prescription and Sunglasses..
Now I don’t wear glasses anymore since I braved a laser treatment last year but the great thing about Firmoo is that you can turn any frame you like into a pair of sunnies by selecting your desired tint. There are a couple of options from grey, brown to green and purple and they all come in varying degrees too so you can even customise how light or dark you want the lenses to be. I selected a pair of wayfarers in a tortoise shell finish, but the best part is the purple tint on the underside. I think this adds a pretty girly touch to what would have been quite a masculine frame and it’s a little different from my usual play it safe black frames. 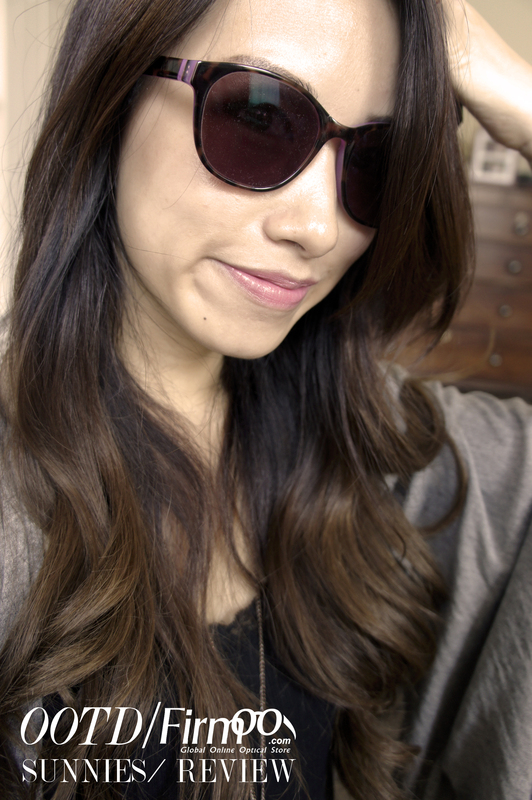 I also opted for tinted lenses to turn these into sunnies and I went for a brown tint in the medium variation. These frames are very budget friendly at just $39 (roughly £22) and comes in 4 different colour variations. If you want more add ons like tinted lenses, anti glare or prescription etc then you can pay extra depending on your needs. Keeping this short and sweet guys! Dying from the heat to type anymore. Enjoy the weather while it lasts everyone! NOTE: I have been given 5 vouchers to offer my readers a $30 off their purchase on Firmoo, so if you guys fancy a new pair of sunnies for Summer then please leave me a comment below. First come first serve to the first 5 comments. 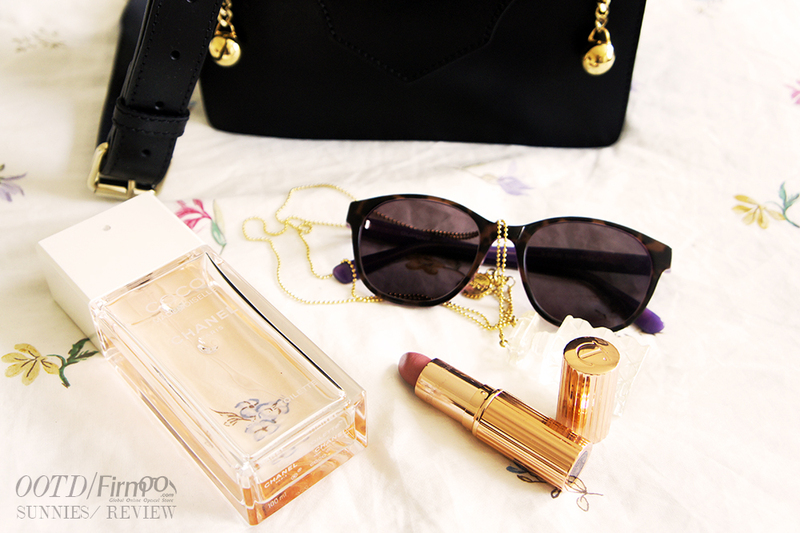 Tags: Fashion, Firmoo, OOTD, Outfit, summer, Sunglasses, Sunnies, what i wore, WIW. Bookmark the permalink. I would looove a voucher Kamen, glasses look gorgeous! Ooh I love the purple detail! I like ’em! You look good in them. You’re very pretty. I just discovered your blog while searching if there were bloggers in Cardiff as I’m coming there in just about a month for an erasmus. So glad I did, it’s really lovely !